Bed bugs in schools are an issue that is not going to disappear. We have many resources available to help people deal with the issue, but, as is often the case, these resources are not looked for until there is a crisis. Finding a bed bug in any situation can be distressing, but should not be a cause for panic. This became clear, once again, as a distraught school official called to ensure that the pesticide application they were planning was legal. When asked if the pesticide applicator had found an infestation, the answer was “We know there isn’t one”. The strategy had been to spot treat when a bed bus is found. But the problem has escalated. Parents are pulling their kids from school. The union is involved. Finger pointing is rampant. The pesticide application was planned to show that SOMETHING is being done. But we know that it isn’t going to help. Eliminate every bed bug in a building and the very next day a student or staff member can bring in another hitchhiker from an infested home. Bed bugs are, simply, a community problem. It is nearly impossible to determine who is at fault and laying blame is pointless. The old saying states that it takes a village to raise a child. It also takes a village to deal with a bed bug problem. 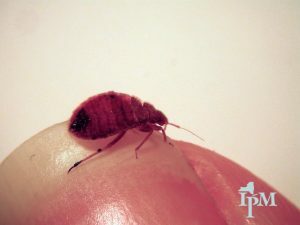 Bed bug infestations are rare in schools, but introductions from infested homes, usually on personal items that travel from home to school and back again, are quite common. Second, infestations do not happen unless bed bugs have the opportunity to feed. They hate disturbance, prefer darkness when feeding, and need a body to be still, usually for two hours or more – not conditions typically found in schools. Bed bugs might not have been noticed. Not everybody reacts to bites. Residents are ashamed or embarrassed. Despite the fact that anyone can get bed bugs, there is the false stigma that bed bugs are associated with poverty and unsanitary conditions. There is a risk of being charged for treatment or being evicted, even when the landlord is responsible. Treatment is expensive and the resident might not have the resources to hire a pest management professional. A national organization called eXtension has developed an IPM Action Plan for Bed Bugs that addresses the responsibilities of the school community and parents (and, in extreme cases, local government). Both lists include education. The NYS IPM Program can help with educational resources (below) and workshop opportunities. If a confirmed bed bug was found on a child then the school nurse should inform the child’s parents. [A letter and] inspection report should be sent home with the student. (See Bed Bugs: What Schools Need to Know fact sheet for a good sample letter). Educational materials should accompany the letter. In most instances students should not be excluded from school due to bed bugs. Schools should not be closed due to the discovery of bed bugs unless there is a widespread infestation [which is rare]. In an infested home, parents should store their child’s freshly laundered clothing in sealed plastic bags until they are put on in the morning. This prevents bed bugs from hiding in the clothing and being carried to school. At school a “hot box” might be used to heat treat belongings possibly infested. A hot box is an insulated container with a heating element that raises the temperature above 115 degrees, killing bedbugs. They can be purchased for a few hundred dollars. Dryers that contains shelves will also serve the same purpose. Action plans can then be formatted as a flowchart, making decision making simple to understand and follow. 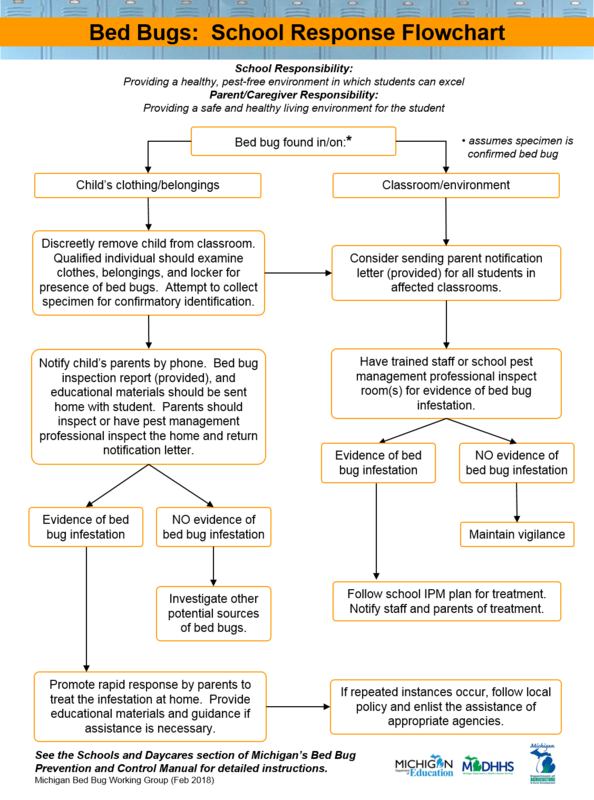 The Michigan Bed Bug Working Group put together the Bed Bugs: What Schools Need to Know fact sheet with a sample flowchart. This flowchart is part of Bed Bugs: What Schools Need to Know. The fact sheet also includes a sample parent letter. We recommend that every school develop a bed bug policy based on the recommendations within the IPM Action Plan for Bed Bugs and use NYS IPM Program resources to help educate the school community and beyond regarding bed bugs and how to deal with them. Our What’s Bugging You? Bedbugs webpage remains the most heavily visited pages on our website. The Bed Bug Management Illustrated Fact Sheets, available in English and Spanish use comic-book style illustrations and few words to show different steps with dealing with bed bugs in a home. 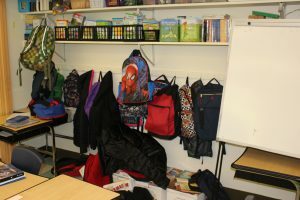 Bed Bugs in Schools – Is it or isn’t it? And be sure to check out a potential grant opportunity to help the school community purchase the airtight containers and heating units needed to help prevent bed bug transportation. The Walmart Foundation Community Grant Program offers grants ranging from a minimum of $250 to the maximum grant of $5,000. We do not know if they have ever funded this type of project, but let us know if you are successful! This entry was posted in All Things IPM, Building IPM, Camps, Child Care Centers, schools and tagged action plan, Bed bugs, Best Management Practices, child care, Healthy Schools, IPM, NYSIPM, pesticide use, pesticides, policy, Resources, schools on February 12, 2018 by Joellen Lampman. IPM is as broad as our selection of photos. On farms, vineyards, orchards; in schools, nursing homes, playgrounds; in your own home, lawn, or garden—IPM is foundational to sound, careful, economical ways of dealing with pests.